The set comes with a coffee table book, double vinyl LP, and audio and visual album downloads. Beyoncé recently celebrated the one-year anniversary of her Lemonade visual album by announcing a scholarship fund for women students and adding new merch to her online store. The pop star's latest commemorative piece is the How To Make Lemonade box set, which includes a coffee table book (over 600 pages long), double vinyl LP, and audio and visual album downloads. 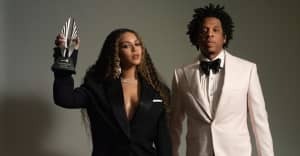 "The How To Make Lemonade Box Set gives unprecedented insight into the making of multiple award-winning LEMONADE," according to the description on Beyoncé's website. The coffee table book features never-before-seen pictures from the making of the album and features a forward by Dr. Michael Eric Dyson, poetry by Warsan Shire, and Beyoncé's personal writing. The box set is now available for pre-order via Beyoncé's online shop, with the shipping date listed as "Summer 2017."